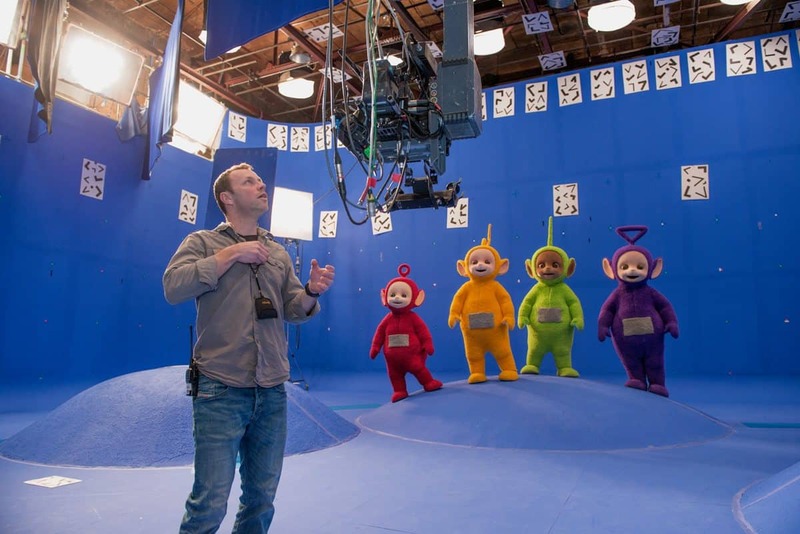 The challenging combination of costume characters, miniature photography, motion control and CGI enhancements were all creatively fused in the reboot of UK global children’s classic Teletubbies. New Teletubbies (DHX Media) was shot at Twickenham Studios by DP Simon Reay, who was an operator on the original ‘90’s series. Now, almost twenty years on, the re-version has been produced with the same iconic green hills using a 20:1 scale model of Teletubbyland. The live-action set consisted of full-size blue hills on the stage, which the Teletubbies could walk over and run around. These were very specifically configured to match the model. Director Jack Jameson, production designer Ant Howells and DP Reay collaborated on shooting efficiencies, avoiding the full-size hills having to be moved every time the camera changed position on the model. Their solution was to have groups of hills that were repeated three times on the model. In essence, one live action bluescreen set matched three different locations on the model. The new title sequence carefully replicated the original almost shot for shot. In order to capture this sequence, The VFXco’s N-Cam’s Real-time camera tracking system was employed. Data was collected and then scaled-down for the Milo motion control rig to perform the corresponding moves on the model. Malcolm Woolridge and Rob Delicata of The VFXco supervised the moco set-up and used one of their Milo systems. 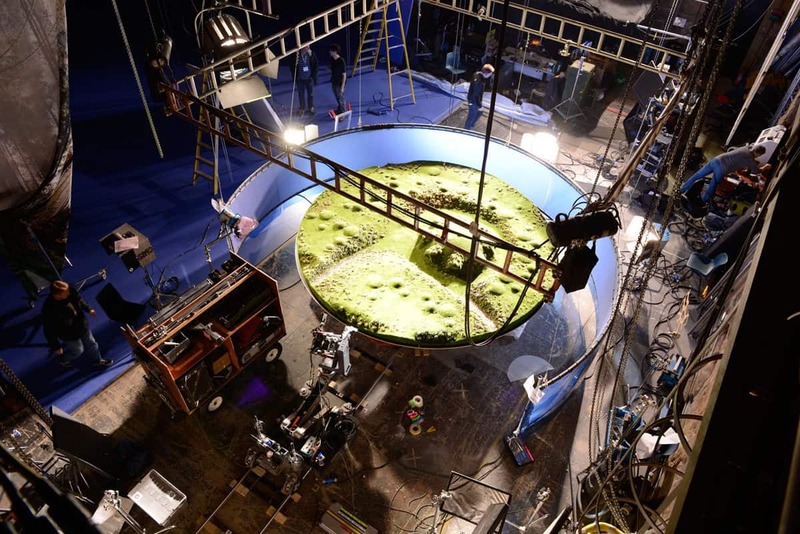 After three months the production switched from the exterior miniature set to the interior world of the Teletubbies – the Home Dome. This dome set was built as an inflatable structure with hard set pieces added. These included a full size working lift, which lowers the Teletubbies down from outside and into their home.